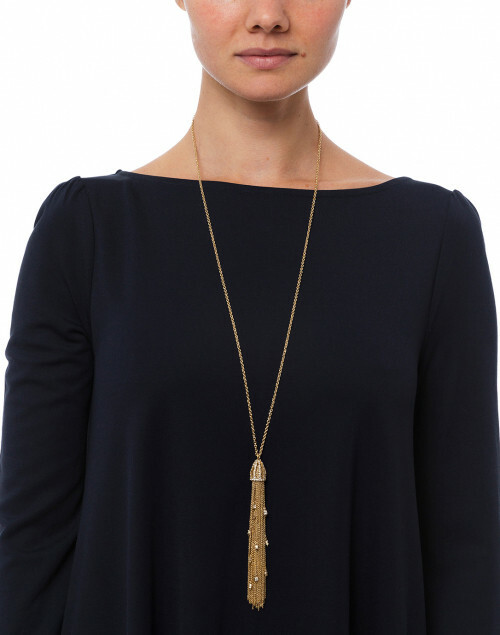 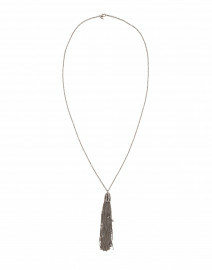 Alexis Bittar combines classic and edgy with this cascading crystal tassel necklace. 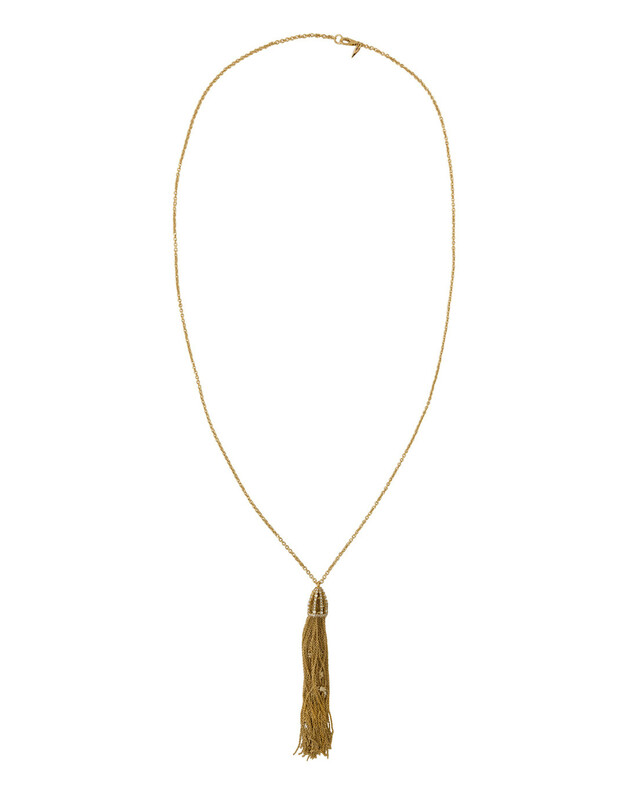 Composed of 10 karat gold plated brass chains secured to a crystal-studded dome pendant, this accessory adds a free-flowing element to every look. 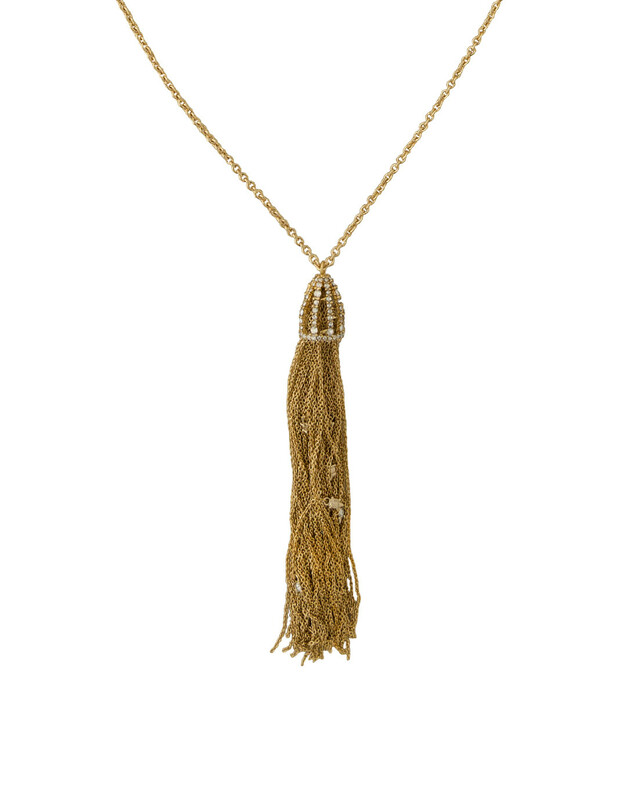 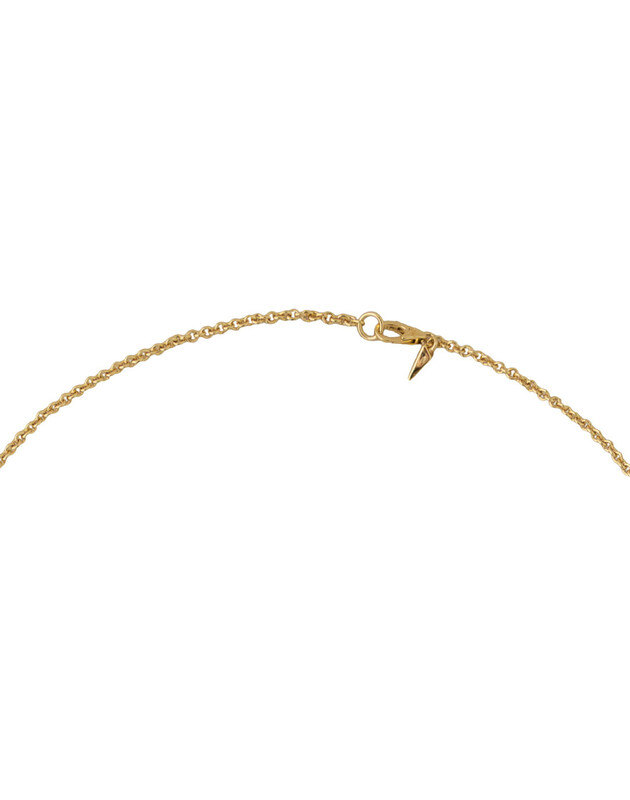 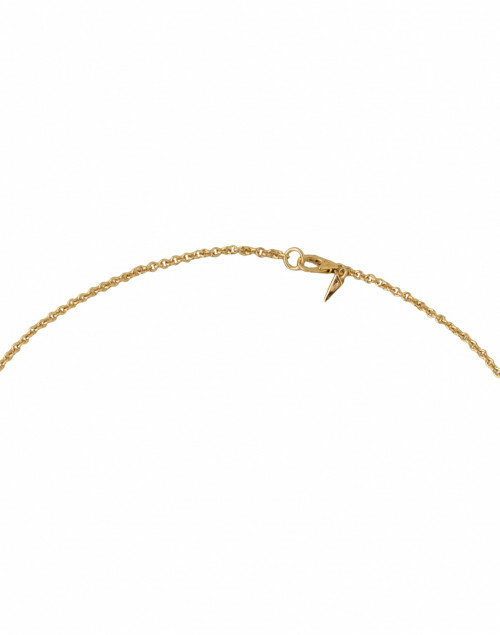 This accessory is complete with a lobster claw clasp and sporadic crystal studs secured within the chain tassel. 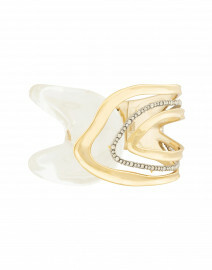 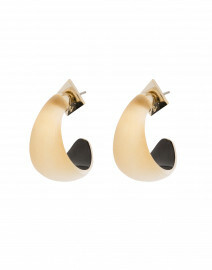 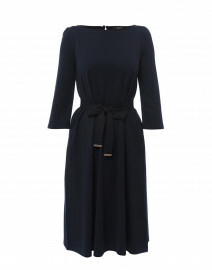 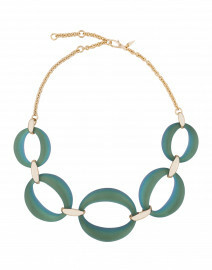 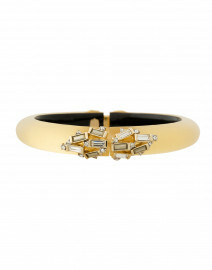 Wear it against a little black dress for an effortlessly chic look.